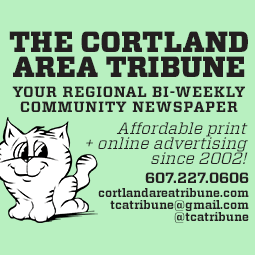 Some occasional lake effect snow is possible across the northern and western areas of the Finger Lakes, but the rest of the region should stay mostly clear. 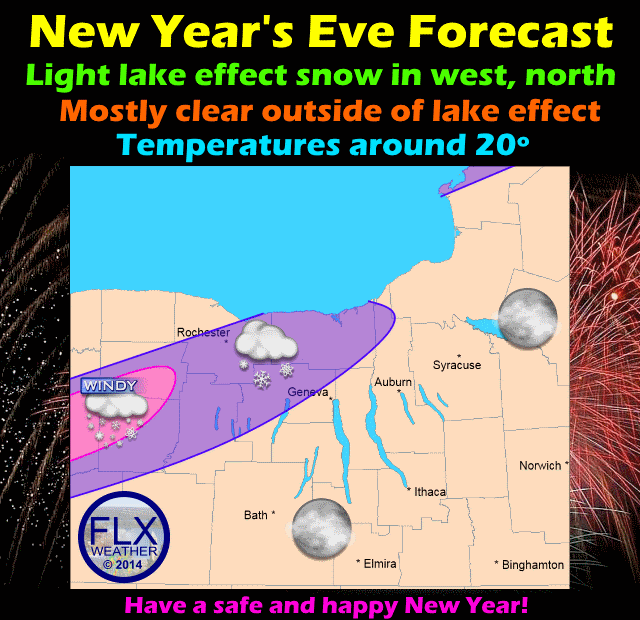 Most of the Finger Lakes will have not have to worry about the weather for the final night of 2014, but some lake effect snow may work into the northwestern parts of the region. While the heaviest snow should stay west of the Finger Lakes (in the pink shading), flurries and some squalls will work towards Rochester and Canadaigua tonight with a couple of inches possible. The rest of the Finger Lakes should have mostly clear skies outside of the lake effect band. Southwesterly winds will keep temperatures from falling much tonight, with temperatures remaining near 20º.